Tavan at The Pearl Hotel in Lincoln Road, Peterborough. 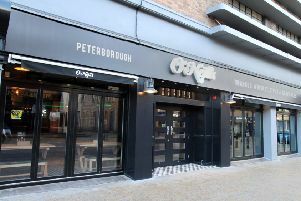 Peterborough’s newest restaurant is unveiled tonight hoping to bring a little Middle Eastern hospitality to the city. Tavan has filled the gap left by Mai Thai which served the boutique Pearl Hotel until two months ago. The menu is classic Turkish-inspired charcoal grilled dishes with a little nod to North Africa with Moroccan tagines. And the food is reflected in the facelift carried out at the former Thai restaurant, with sparkling beaded lamps and a rustic central bar dominating.